The idea is to demonstrate the capabilities of its operating system on the most powerful hardware (and in parallel try to earn more in the segment with higher margins) came to Google immediately – and caused a storm of controversy. To produce expensive Pixel in an overloaded market, especially shortly after the super successful Nexus 5, was a risk. Yes, Google can afford to take the risk, after all, the company does not depend on the sales of “irons”, but spoil your reputation and to completely ignore this market in financial terms, and not as a proving ground for testing ideas company, not with your hands. 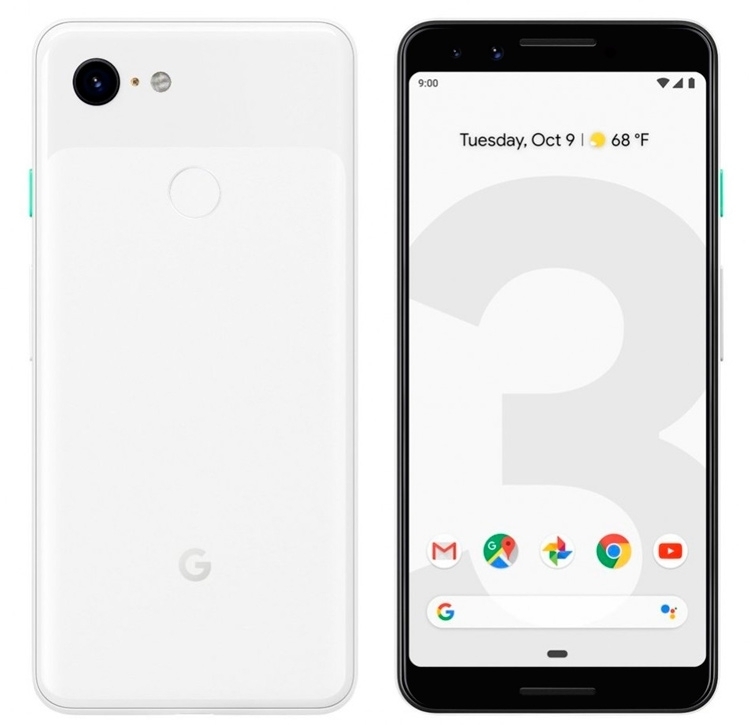 This became clear after the release of 2 Pixel/Pixel 2 XL – the company took the criticism very carefully and made several powerful moves in technical terms, from AMOLED display to a proprietary system of processing images for HDR+ with the employment of a specially designed coprocessor. Combined with the fact that the situation around raised more than double the price subsided, Pixel 2 has received good press, and normal sales. But what is Pixel 3? Boring evolution combined with hateful “bangs” — or the continuation of the adjusted lines, backed by this time a breakthrough in terms of the front camera? In the market of flagship smartphones, where competition is only growing (especially due to the rapid growth of Huawei), do Google some distinct advantages over its competitors, or the speech again, as in the case with the first “pixel”, is solely about the mythical “magic of a name” on which the Pixel 3/Pixel 3 XL trying to go? Like last year, there are two smartphone Pixel with a relatively small display (now 5.5 inches) and large (6.3 inch). They also vary in capacity built-in battery and, of course, in size. The rest is absolutely identical gadgets, much like Apple. To the policies of its neighbors in Silicon valley, Google has become a focus in 2016 with the release of its first Pixel. Last year we tried in the “small” smartphone Google, this time took the already large – will speak about Pixel 3 XL. 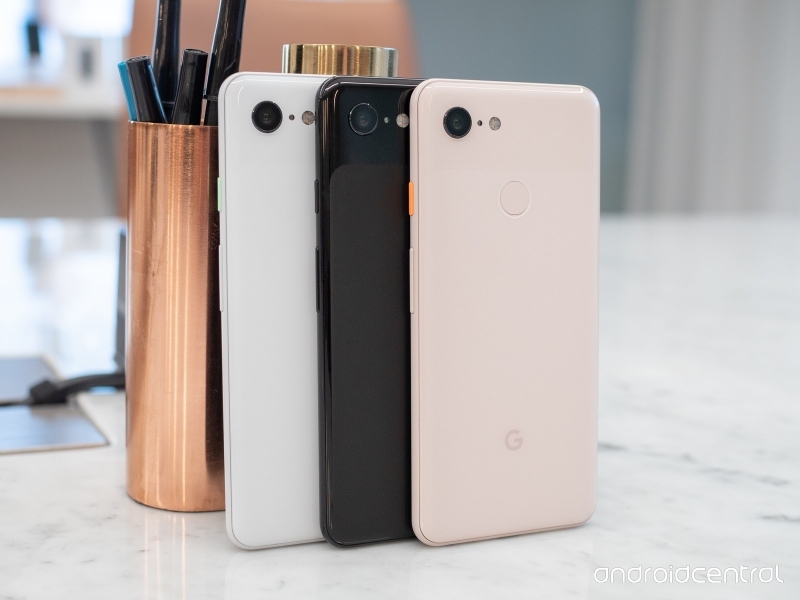 “From behind” Google Pixel 3 XL is very easy to confuse with the previous version – the same combination of glossy and matte surfaces without fringing and with the already old-fashioned fingerprint scanner in the middle of the rear panel. Consistently designers Google did not twitch, and that, on the one hand, right (corporate style), the other – a great influence on the desire of the owners of the previous Pixel to be updated, greatly reducing it. Still one of the most important motivations is to have a smartphone with a fresh design to of your purchase knew not only yourself, but others. Here it tends to zero. The same applies to the front panel, but for a different reason – Google Pixel 3 XL is very similar to the iPhone X or, in this case, XS Max. Yeah, kind of a “chin” inscribed in it the speaker more, and the neckline we see two of the front lens of the camera, but the format major “monopoly” has almost patented by Apple, and against the background of attempts of other companies from this scheme to go (remember the Honor View 20, experiments in Vivo and OPPO, Xiaomi Mi 3 MIX), of course, now looks a little awkward. Everyone ran and ran Google. Is not this behavior expected from the giant of mountain view. I must say that the “standard” Pixel 3 is devoid of the cut. This is a classic smartphone with a rather large framework, and it is in this respect perhaps even more advantageous than epigone XL. Moreover, the “bangs” in Google higher than the iPhone or other imitators – a few pixels more than the status. Yes, it fits a cherished charge remaining in percent, but it looks a smartphone in the end koryavenko. Dull and unprincipled design can often compensate for interesting color solutions. Here Google can offer a pink option which is usually called ironic – Not Pink. There are also white (Clear White), and black (Just Black) pixels. Case, as is now customary, with the two sides covered by glass (Gorilla Glass 5), but due to the matte surface smartphone does not slip in your hand and not flying away with any uneven surface — is a plus. Face is also pleased – they are of the usual aluminum, but the plastic inserts for the correct operation of the antennas are well hidden, can not find them. Although the process of using smartphone, I have a question – are there any? But the difficulties of communication we will discuss below. As in the Pixel 2, there is no analog headphone Jack, but increased viewing modes – now is not IP67, and IP68. You can fill the gadget safely – well safely, the guarantee of such cases is usually not covered, but at least formally, paleologist stated. Included is a wired headphone with built-in USB Type-C adapter from Type-C to Type-A (complete cable format USB Type-C to USB Type-C) and adapter mini-Jack USB Type-C That was the offer, it seems, with a record number of mentions of the format “type-C” sorry for that density. Now it’s time to speak what is not included, and there is no standard for everyone except Apple and Google, silicon case “for the first time”. Since the housing is glass (Gorilla Glass 5, of course, good can withstand a fall from a small height, but very willing to assemble a small but nasty scratches), to rejoice there is nothing. Functional elements on their “Android” on the right side three hardware buttons, the bottom one is the USB Type-C and a slot for card nano-SIM (single), stereo speakers located on the front panel, two side of the screen – in the manner of Sony Xperia XZ3. That “pixels” Google makes the HTC, not to say almost anything – smartphones the Taiwanese company is moving in his own special direction. But something still applied in the Pixel – at the bottom of the housing faces are embedded is sensitive to the compression elements, they can “hang” some functions or settings. To use this, in my opinion, uncomfortable – does not help even adjustable sensitivity. I Active Edge is likely to prevent spurious alarms, I myself am to her for a week and a half of testing is not used — only in the beginning, out of curiosity. But one such option may come to mind, above was just my subjective impression. But in Pixel 3 comes with an excellent vibration motor. Feels he is very close to that used in the iPhone – that is, in the face of the Pixel 3 you with huge degree of probability will get the most pleasant tactile with respect to Android-smartphone. The fingerprint scanner located on the rear panel – the solution to old-fashioned, but it works capacitive sensor quickly and smoothly. Screen ultrasonic scanners are far from that level, but in concept they are, of course, much more modern and more convenient. Running Google Pixel 3/Pixel 3 XL running Android 9 Pie, regularly updated to the latest version. Google promises that the owners of Pixel, along with the traditionally unlimited amount of Google Drive to save photos and videos from your smartphone, provides the fastest updates – but then, “pixels”, you can bet the companies included in the pool of Android One like Nokia. But what bet can’t do this in a number of features that are standard Pixel full ahead of all other Android smartphones. The most interesting does not work outside USA – smart phone can “off-hook” and ask the purpose of your call, transmitting this information is then in the form of text on the screen. Then you decide whether to rent the handset for real or do not waste time on spam. Don’t know, this is not working we have a function doing this or whatever, but the result on the test Pixel 3 XL didn’t work correctly on caller ID number, with rare exceptions, are not shown. Of those features Pixel launcher, which still worked (and didn’t prevent to work to other functions), I note an extensive set of Wallpapers and themes flexible, adapts to the Wallpaper you want (dark or light color depending on background color), new gesture (swiping to the left from the Central navigation button instantly returns to the last screen) and the experimental mode, considering how many and what applications you spend time – equivalent we have seen in the latest version of EMUI. Any major differences from stock Android 9 Pie here in any case. The system works very smoothly, quickly and accurately – numbered Pixel supports the reputation if not the fastest Android smartphone at the time of its release, then at least “one”. Time the LCD display takes – to imagine the LCD screen in the flagship smartphone is almost impossible. So Pixel 3 is used XL panel P-OLED with a diagonal of 6.3 inches and a resolution of 2960 × 1440 pixels. The pixel density is 523 ppi – problems will not be when viewing a 4K video or when using your smartphone in a virtual reality helmet. Although this scenario every month to say I want less – despite the development of different APIs and continuous work in this direction of faith in the glorious future of mobile VR systems less and less. By itself, the display is very quality: I can’t say anything on the results of testing about a week and a half burnout, which were problems in the Pixel 2, but with the angles full order (still, it’s OLED). The maximum measured level of the luminance of 385 CD/m2. OLED-display indicator does not limit screen same iPhone Xs Max gives as much as 521 CD/m2 with its permanent adaptive adjustment. However the company says the HDR is not specified which standard, but there is every reason to believe that a speech about Mobile HDR Premium, which is enough for 10-bit color and peak brightness of 550 CD/m2. Probably, in certain conditions, the smartphone is capable of producing the desired settings. At least the sun is to use the third “pixel” comfortable, and problems with dynamic range when viewing photos and videos is not observed. The color reproduction of the display Pixel 2, you can optionally change. A choice of three modes of operation: with bright colors, natural or adaptive regulation depending on displayed on the information screen. Enabled by default adaptive mode, but I have measured the performance for reasons of clarity, only two “manual”. Display like last Pixel, set up very efficiently. When activated, natural colors gamma of 2.14 is curves a little “fuss” in bright colours, but nothing critical. The color temperature is close to the standard – 6 ranges from 400 to 7 200 with a median in the region of 7 000 K. the Average deviation of Delta E for enhanced Color Checker palette (shades of gray + a wide variety of colour shades) is 2.22 at a rate of 3 – just a little bit does not reach the reference value of 2.00. Color space sRGB slightly off, but it almost does not prevent the smartphone to display colors very honest. In the regime of bright colors, the picture is visually kolodney and becomes more intense. In the chart the color temperature such coldness almost no effect – it is again held in the region of 7 000 K. the Average gamma is the same of 2.14, and the average deviation of Delta E on the Color Checker palette of 3.04 is equal, despite the fact that the color space is expanded and approaching DCI-P3. Also very good result on Google Pixel 3 XL you can safely put bright or adaptive mode, if you like bright colors and enjoy at the same time and rich and almost natural color reproduction. With sound system, Google has decided not to change anything – here again used stereo speakers, derived on the front panel. And in terms of volume and quality sound external speakers Pixel 3 XL approaching the best multimedia smartphone plan 2018 – Sony Xperia XZ3. Alas, the sound quality in the headphones – no. There is an analog adapter, so you can use wired headphones (and charge without wires – the option is there), but count on the particular sound quality is not worth it. No huge volume or even really serious detail. Quite ordinary smartphone sound. Once again, I note that the earphones in the box with 3 Pixel XL is, in contrast to set Pixel 2 is not bad, the greed in selling the smartphone for $1 000 seemed irrelevant.